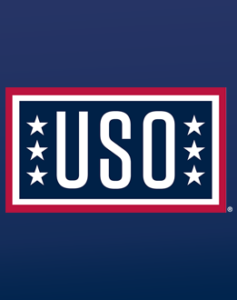 The FFOT team will be supporting the USO through this event May 31 at Munden Point. Registration details are coming soon! Big Toho Marina, 69 Lakeview Dr.
Our sponsor professional B.A.S.S. Pro, Rick Morris, will be conducting a fishing seminar along with other activities. 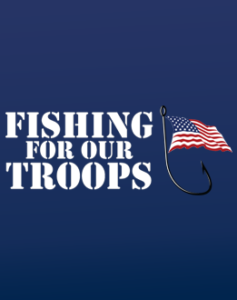 In addition to spending time on the water with professional anglers, military and their families are given the chance to participate in a fun fishing contest and an awesome raffle with multiple prizes. The Cape Canaveral/Patrick Air Force Base event is being held at Big Toho Marina on West Lake Tohopekaliga in Kissimmee, Fla. Registration will be opening soon! Our sponsor professional B.A.S.S. Pro, Rick Morris, will be conducting a fishing seminar along with other activities. In addition to spending time on the water with professional anglers, military and their families are given the chance to participate in a fun fishing contest and an awesome raffle with multiple prizes. The Georgia event is being held at Trade Winds Marina on Lake Strom Thurmond in Appling, Ga. Registration will be opening soon! Our sponsor professional B.A.S.S. Pro, Rick Morris, will be conducting a fishing seminar along with other activities. In addition to spending time on the water with professional anglers, military and their families are given the chance to participate in a fun fishing contest and an awesome raffle with multiple prizes. This saltwater fishing event will be held in Destin, Fla. just outside of Eglin Air Force Base. More details coming soon!